I live in the Northeastern region of the United States, and am an avid bird-lover. I love robins for their looks, and because they're harbingers of spring in my area. I thought robins were the same here and in Europe, but was recently told there are major differences. If the information I was given is correct, they don't even belong to the same family of bird! I'm almost certain the majority of our robins are called American Robin. 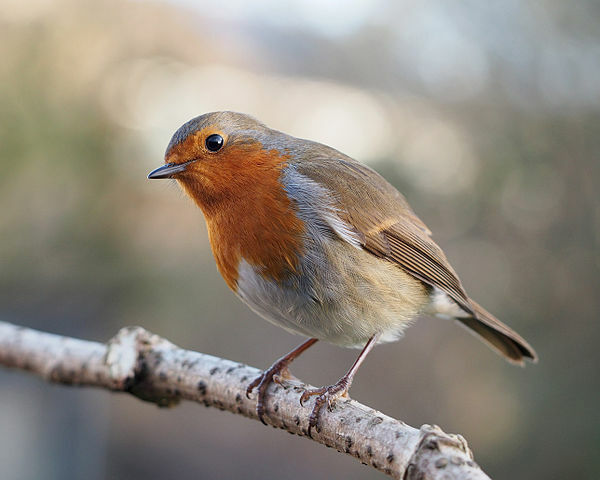 If I were to go to a European country, would I recognize the physical characteristics of the robin there, or is the bird different enough that it would not look like a "robin" to me? In addition to the appearance, are the basic behavioral characteristics, such as diet, preferred habitat, and nesting, similar, or are there significant differences in those also? Do the European robins ever migrate to America? 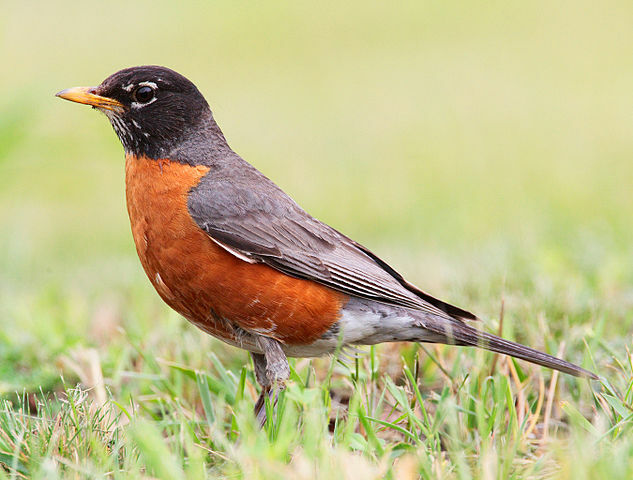 The American robin (Turdus migratorius) is a migratory songbird of the thrush family. It is named after the European robin2 because of its reddish-orange breast, though the two species are not closely related, with the European robin belonging to the Old World flycatcher family. The Old World flycatchers are a large family, the Muscicapidae, of small passerine birds mostly restricted to the Old World (Europe, Africa and Asia). These are mainly small arboreal insectivores, many of which, as the name implies, take their prey on the wing. The thrushes are a family, Turdidae, of passerine birds with a worldwide distribution. The family was once much larger before the subfamily Saxicolinae, which includes the chats and European robins, was split out and moved to the Old World flycatchers. The thrushes are small to medium-sized ground living birds that feed on insects, other invertebrates and fruit. Apparently American Robins migrate for the winter (hence the official name) but in reality they often don't and form 'nomadic flocks' that find good berry trees etc to live near in the cold months. But the British/European Robin is not migratory and always solitary (except when mated) and is always highly defensive of its personal territory. American Robins only become aggressive in the summer,during nesting months. This info triggered by my seeing a large flock of robins in my garden in California. I'm British and so it seemed very odd. Not the answer you're looking for? Browse other questions tagged united-states birds europe bird-identification robins or ask your own question. Why is the European robin associated with winter? Do doves go through a molting time of shedding and replacing their feathers?